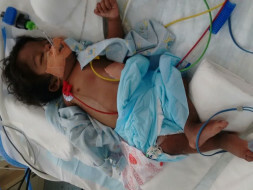 5-month-old baby is need of urgent support to continue treatment. He is showing good progress and if he is able to continue treatment for the following week, he has good chances of recovery. His parents are struggling to support his treatment and seek generous support. This Couple Had A Baby After 5 Years, Now They Are Struggling To Keep him Alive. Keshav and Nagaveni went through a lot of pain in the five years of marriage. In five years, they had lost two babies. 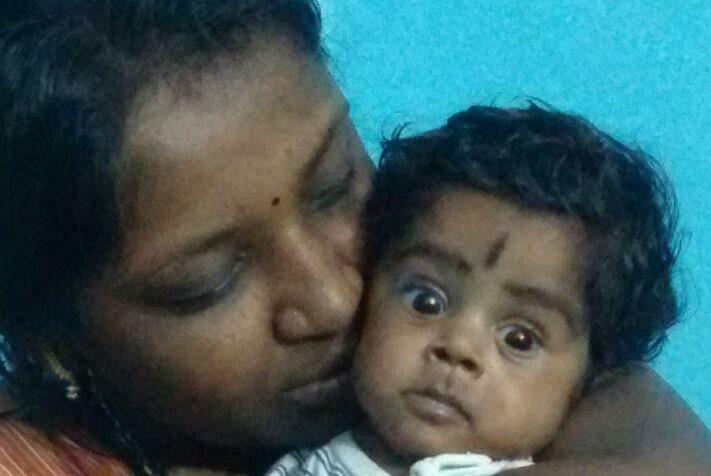 Nagaveni conceived a baby boy but in just 2 months, she went through an abortion. Her next baby went through the same ordeal at 3 months. The agony of losing their babies slowly started leading the couple into depression. But the minute they knew they are going to bring a baby into their lives, their sorrows vanished and they were about to start a new life. On the third day of welcoming the baby, the couple's sorrow continued. The little baby's food pipe had a blockage and had to undergo a surgery. But that didn't help the baby. On the 30th day, he underwent a hernia surgery. The days that followed brought some relief to the couple Their son was recovering. Soon they decided to name their son. On the day of his name ceremony, the baby fell sick again. He was running a high fever and was taken to the hospital again. "We named him Bhanu Bhushan, but didn't have the time to call him by that name, we were back to hospital". Keshav, is a Computer Operator in transport firm. Since the birth of their son, they have almost spent Rs. 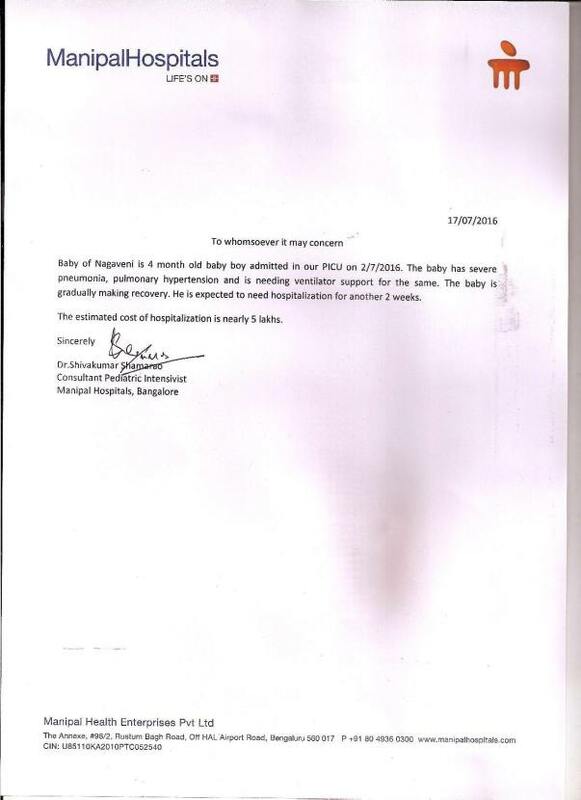 10 to 15 Lakhs for the baby’s treatment. 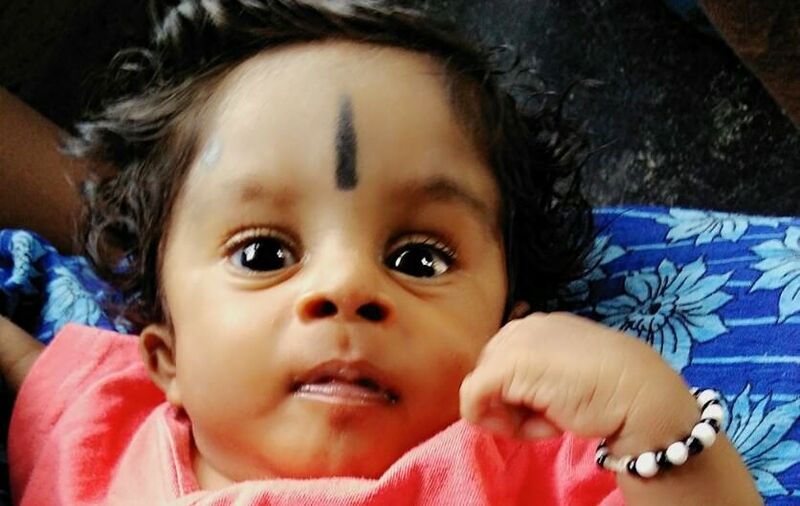 The baby was referred from a hospital in Kolar to Manipal Hospital in Bengaluru. The hospital in Kolar didn't have the facilities to continue his treatment. He is suffering from severe pneumonia and pulmonary hypertension. Keshav and Nagaveni sold their jewellery and borrowed from friends which is keeping the baby under treatment. But they have exhausted the money and they are unable to keep the baby hospitalised to continue the treatment. The baby has high chances of recovery and will be shifted to the ward looking at his progress. 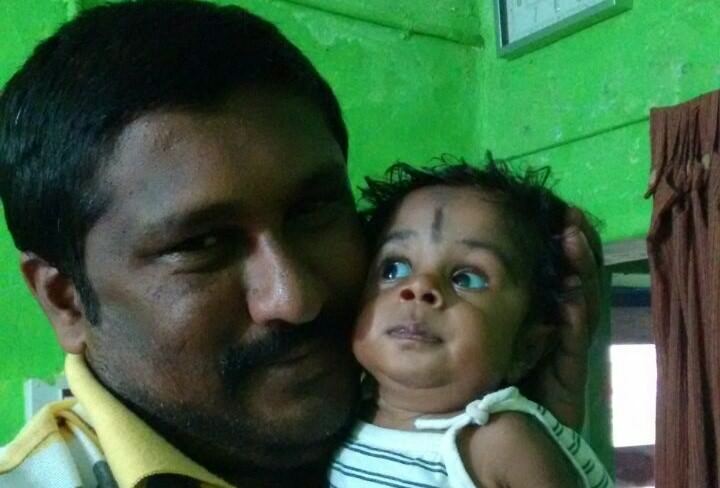 We all came together to help baby of Nagaveni recover and reunite with his parents. The support was overwhelming and it gave the parents a chance to be with their newborn son. His treatment was going on well and he was discharged from the hospital. But his condition deteriorated and he could not make it. Keshav and Nagaveni are still not in terms with this news. Despite our best efforts it's unfortunate that he is not with us. May the little one rest in peace. We are constantly trying to reach the parents to ensure they are okay and we pray they find strength in this time of grief. We will keep you posted on the next steps in the coming days. Thank you all once again for your support and prayers.